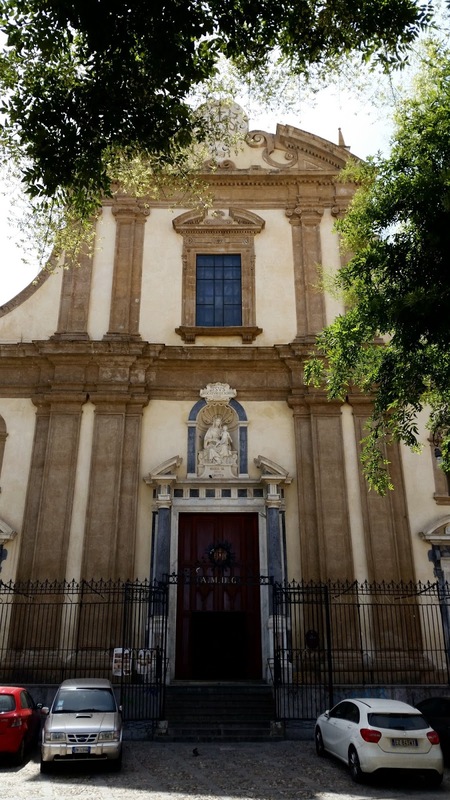 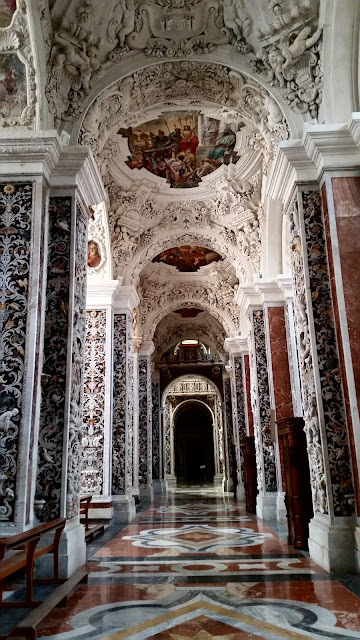 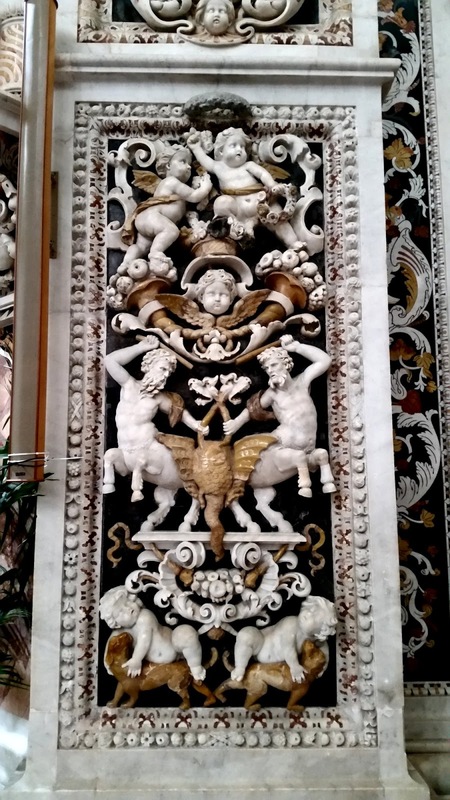 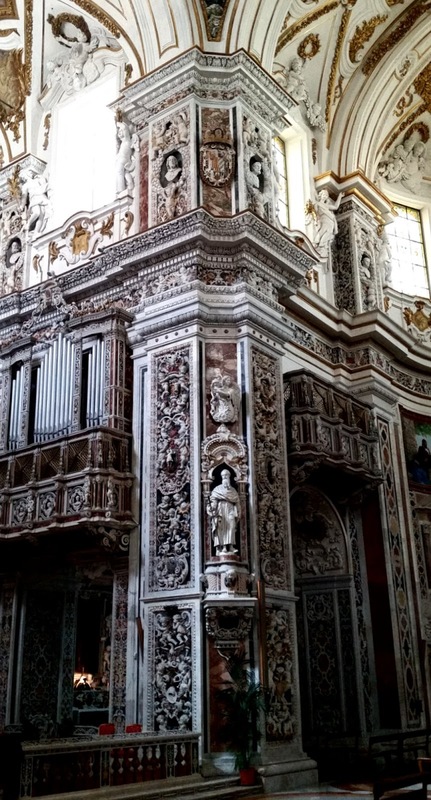 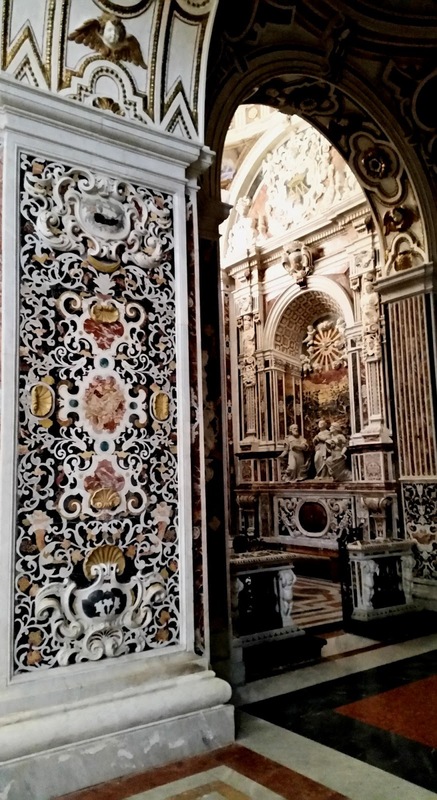 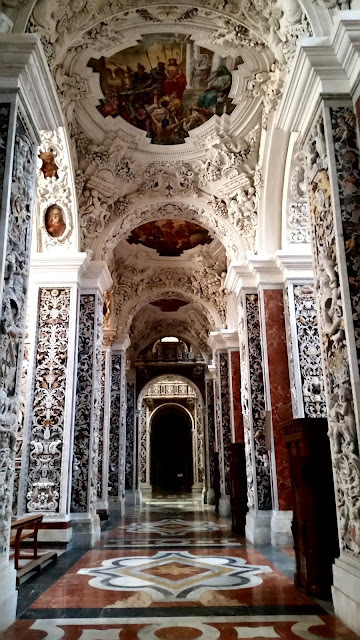 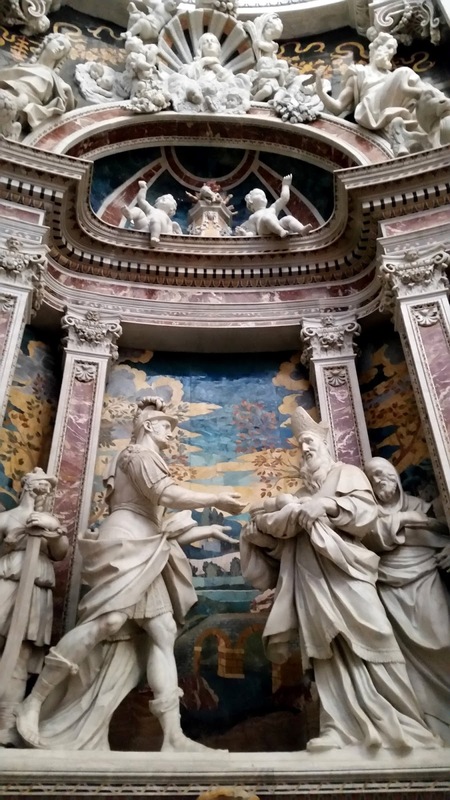 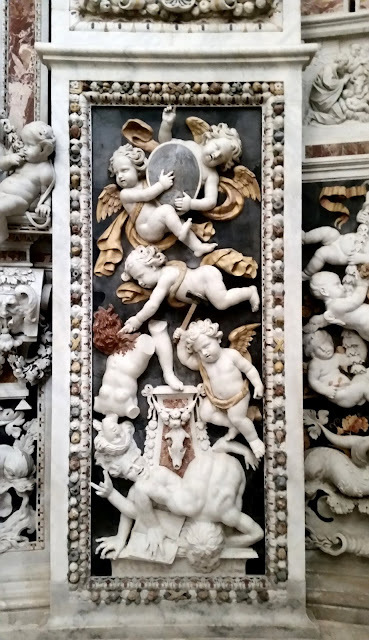 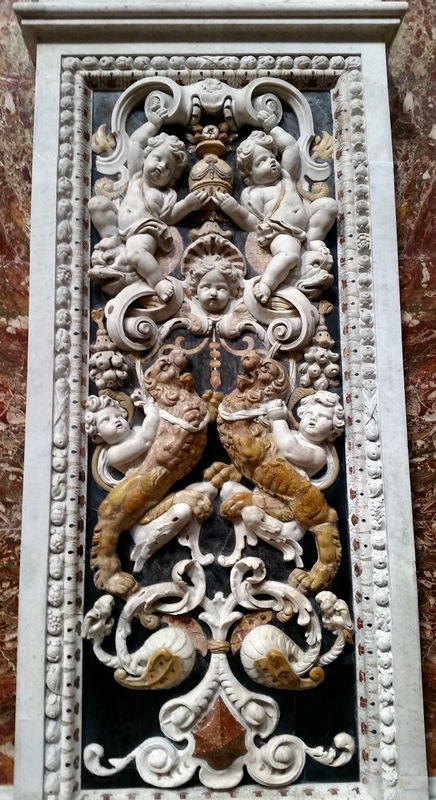 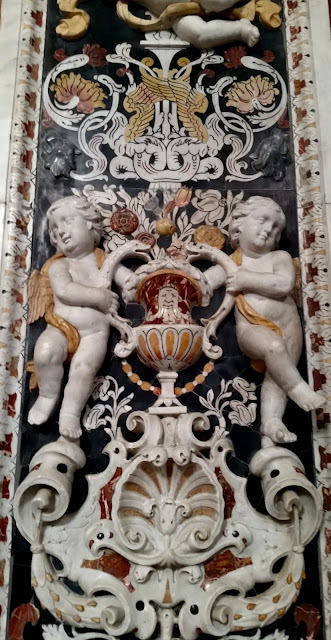 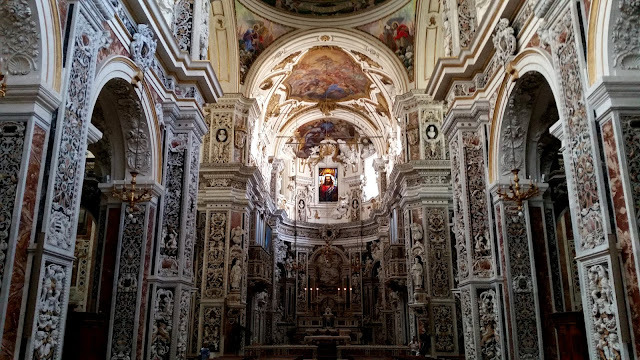 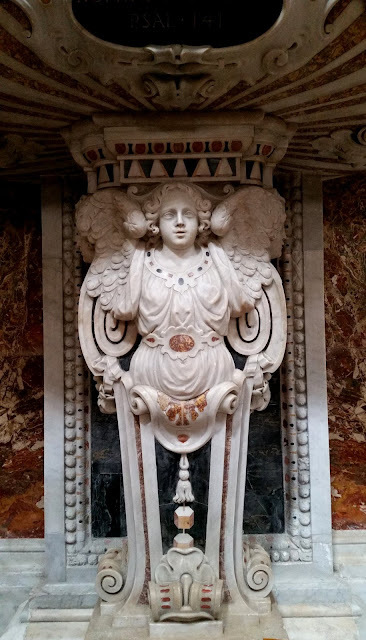 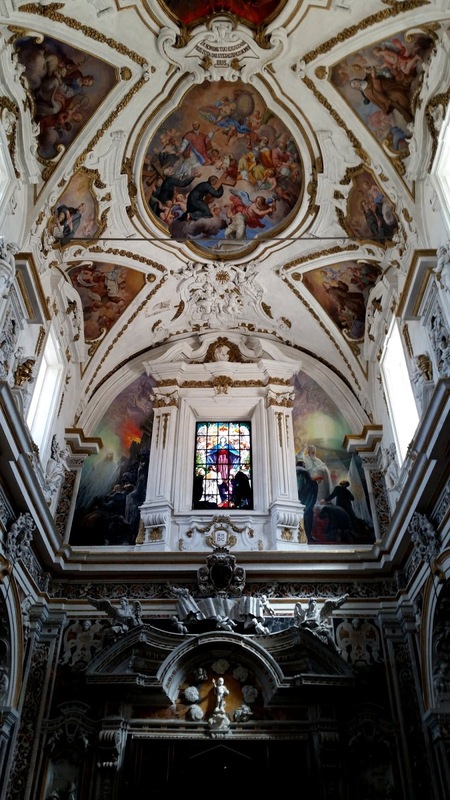 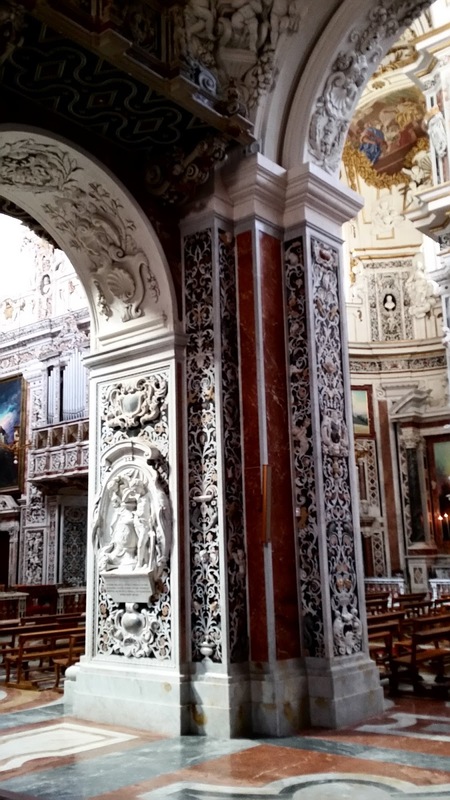 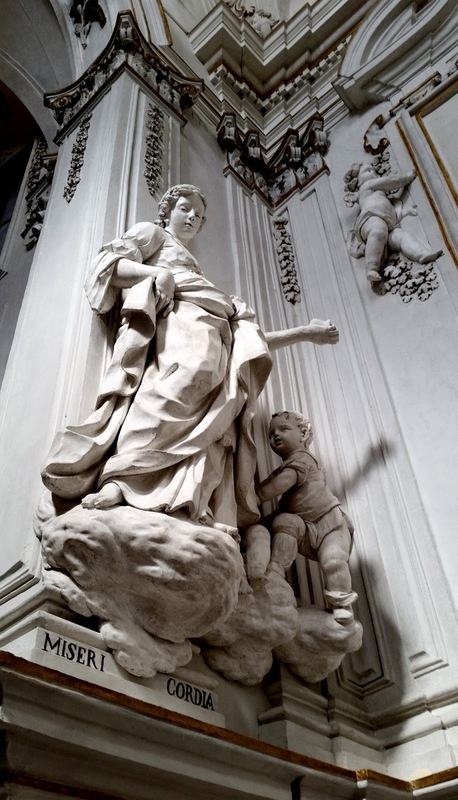 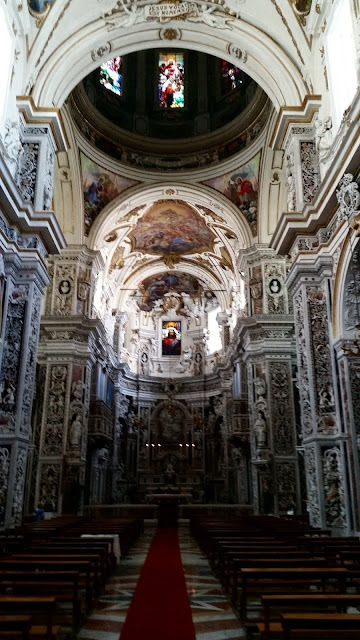 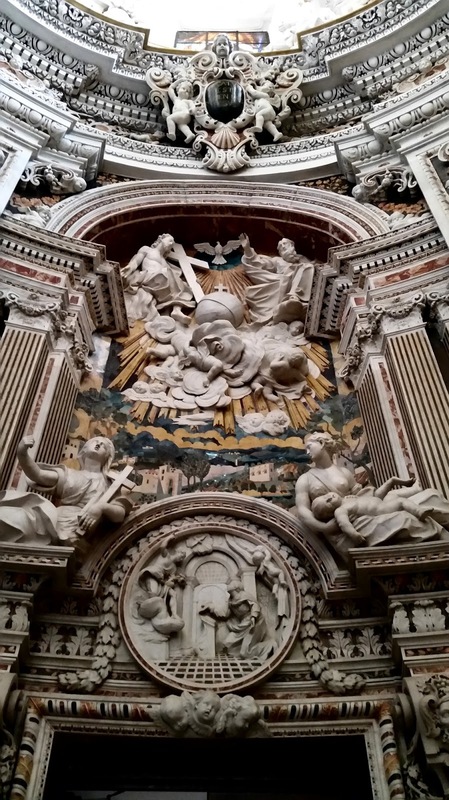 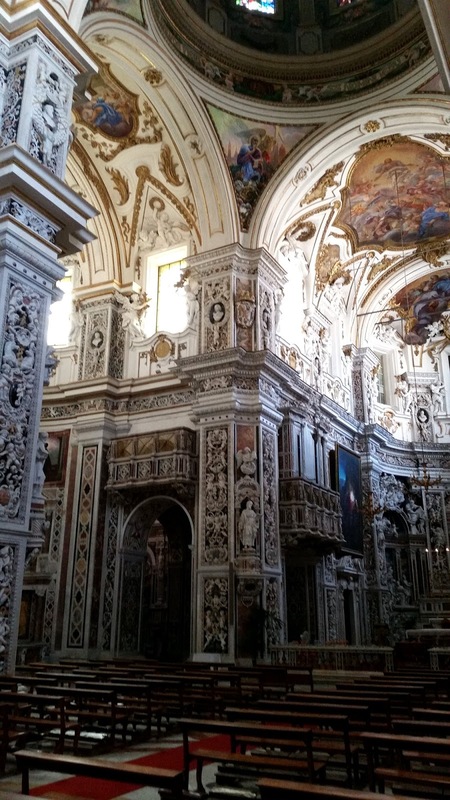 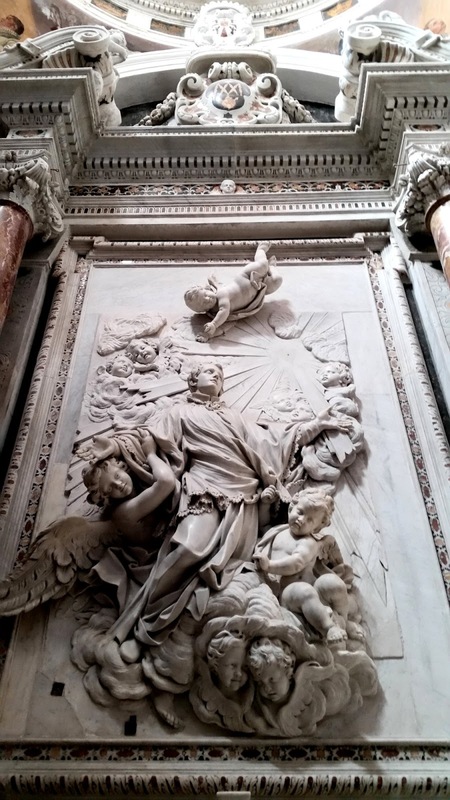 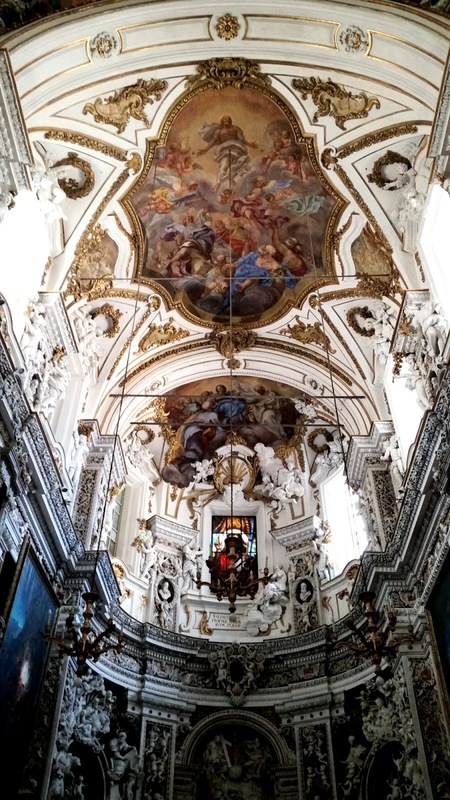 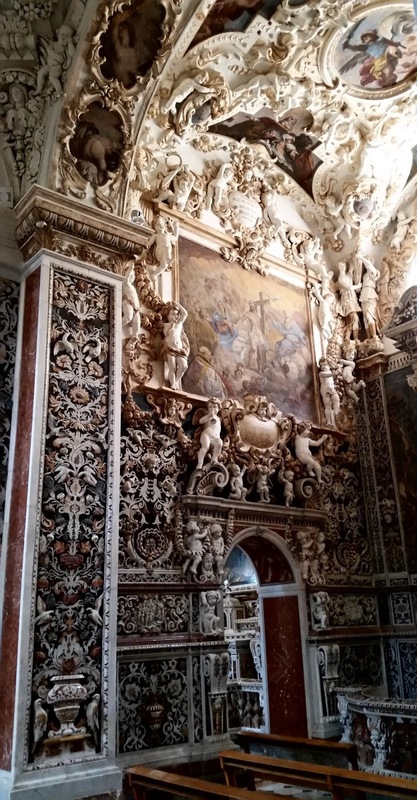 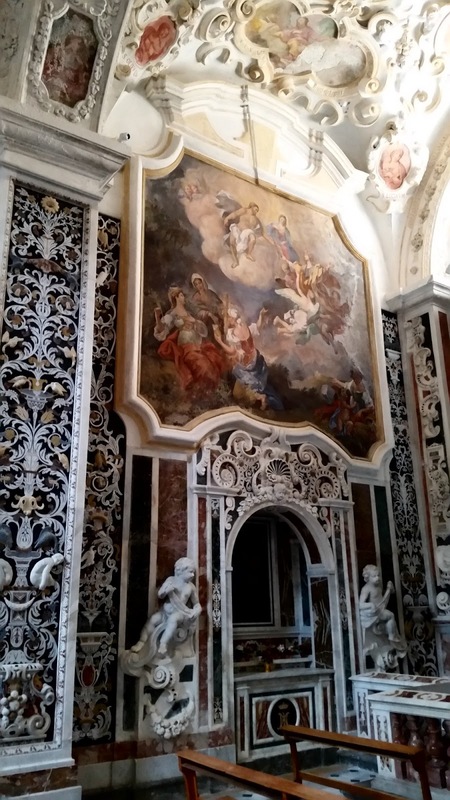 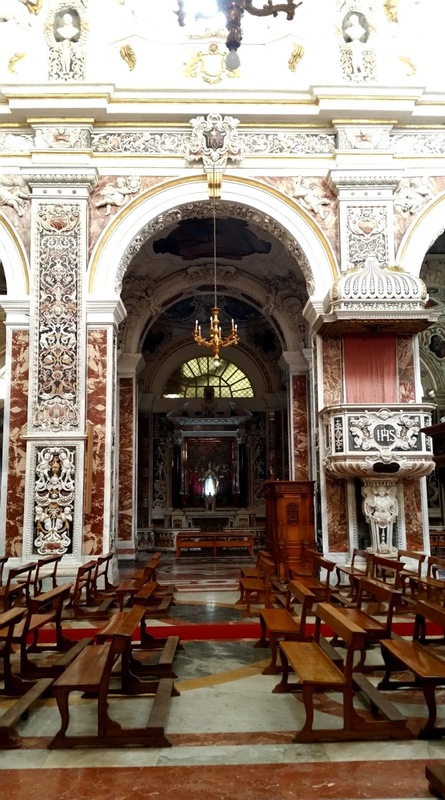 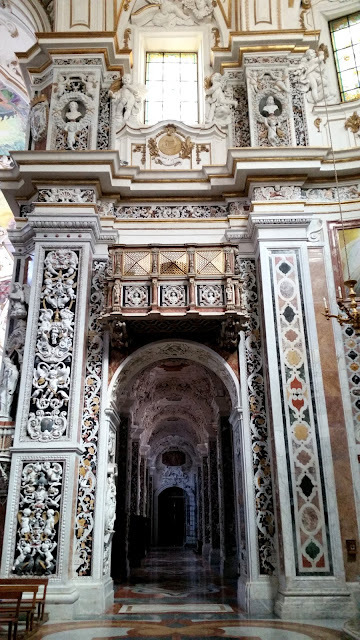 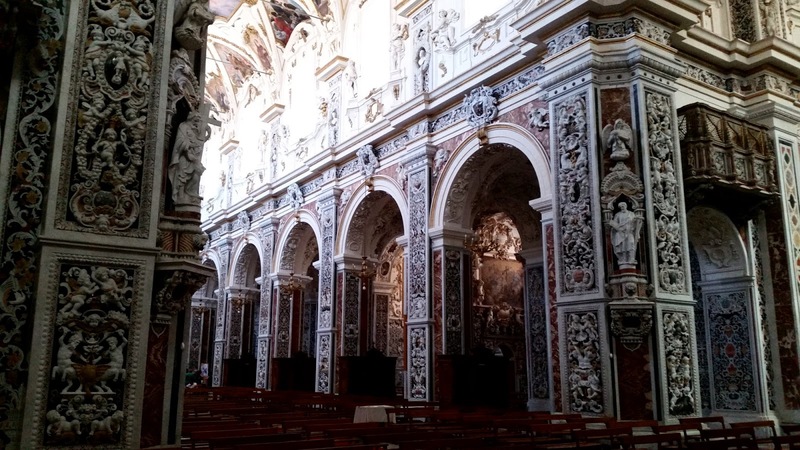 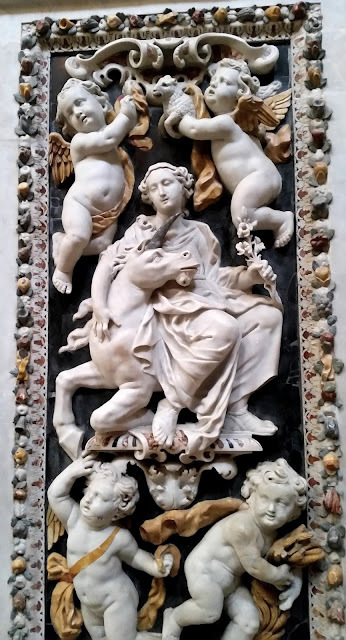 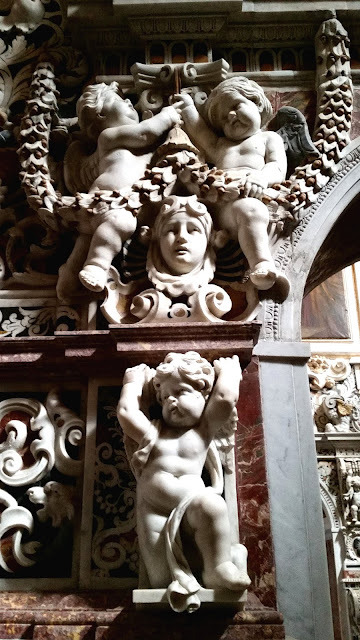 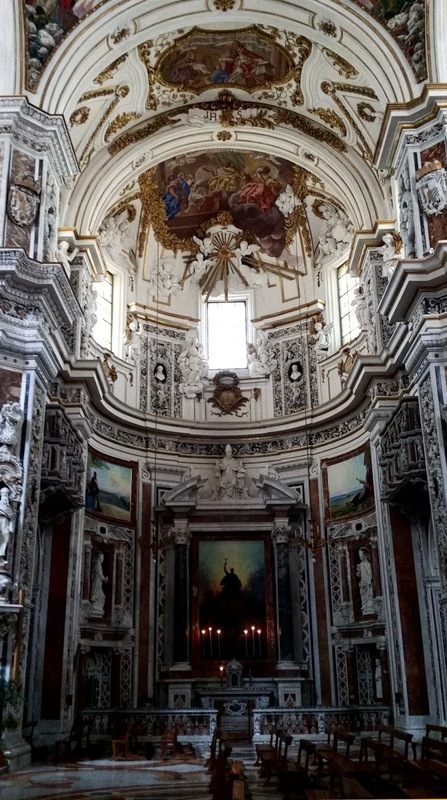 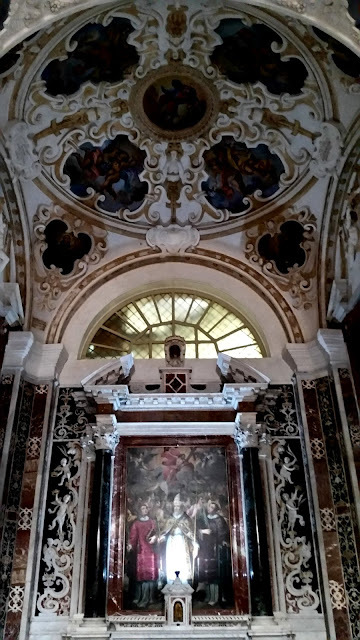 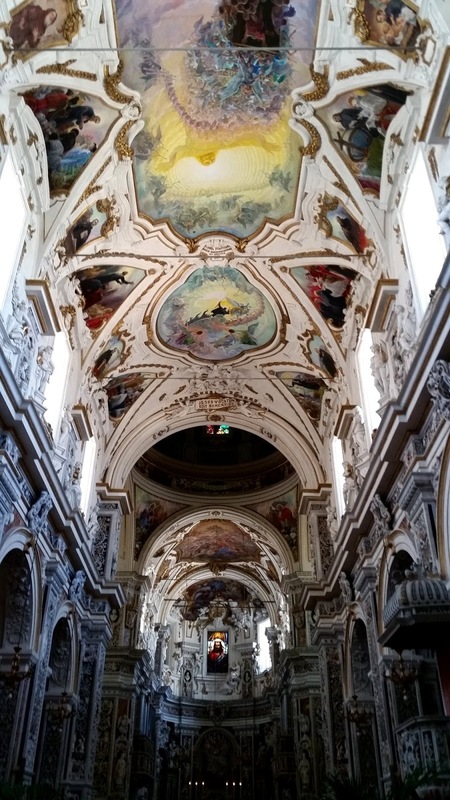 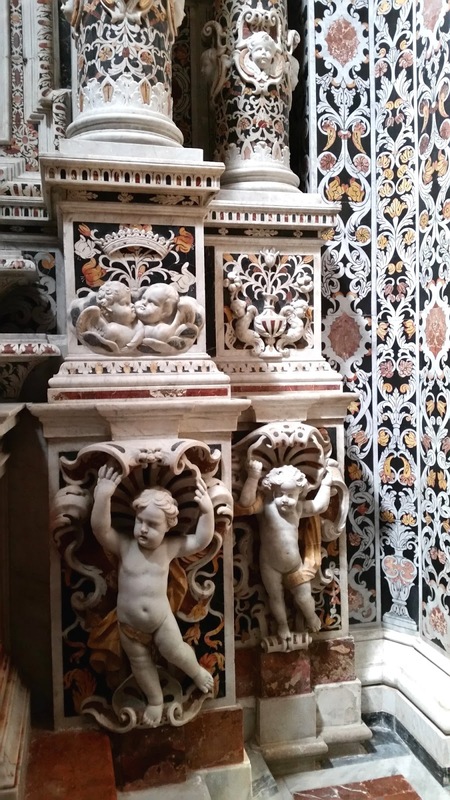 This Jesuit church is one of the most important Baroque churches in Palermo - and indeed, in all of Sicily – however the sedate Renaissance exterior belies what’s inside, so most tourists pass-up a closer inspection. 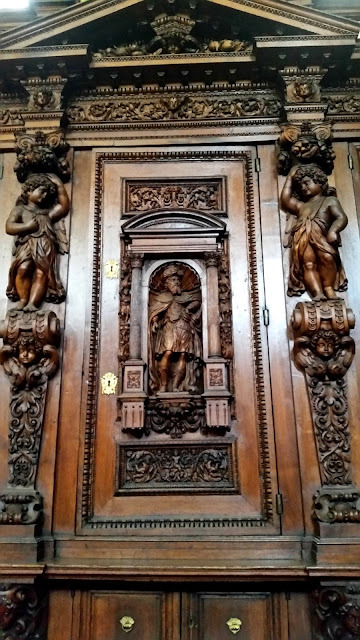 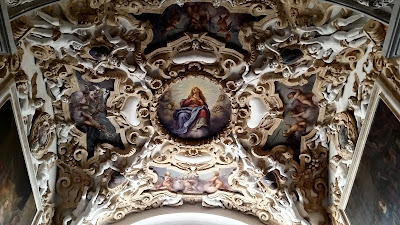 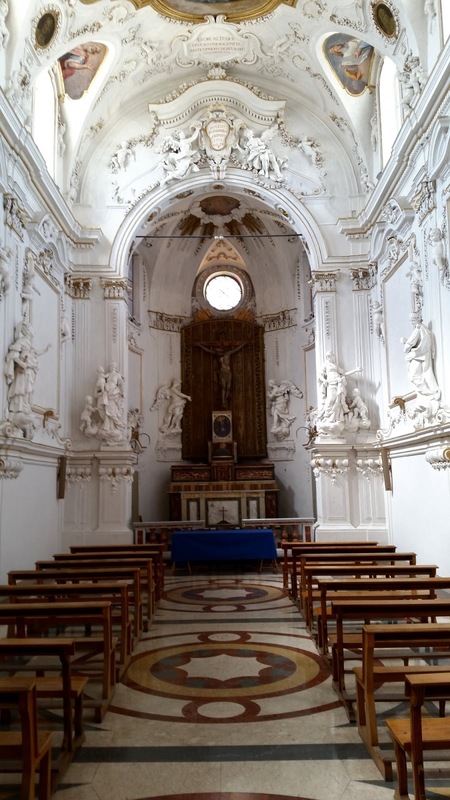 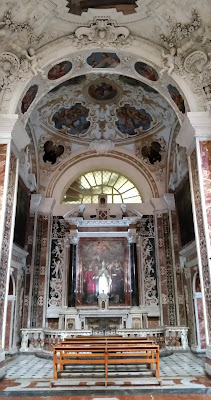 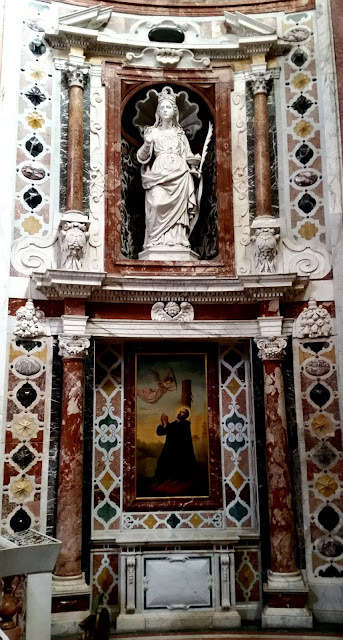 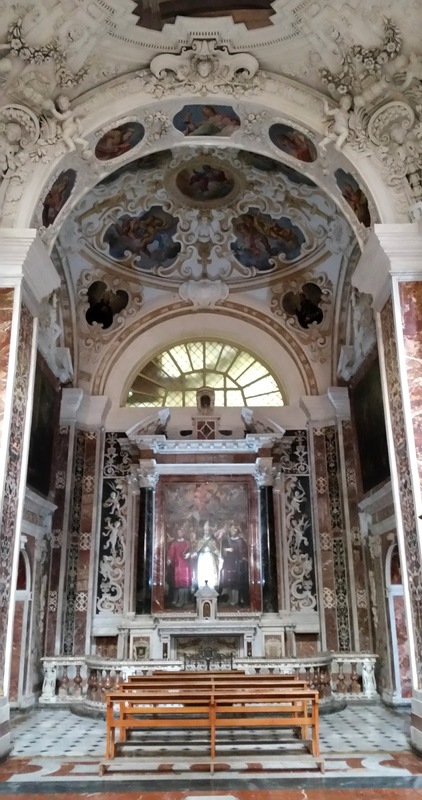 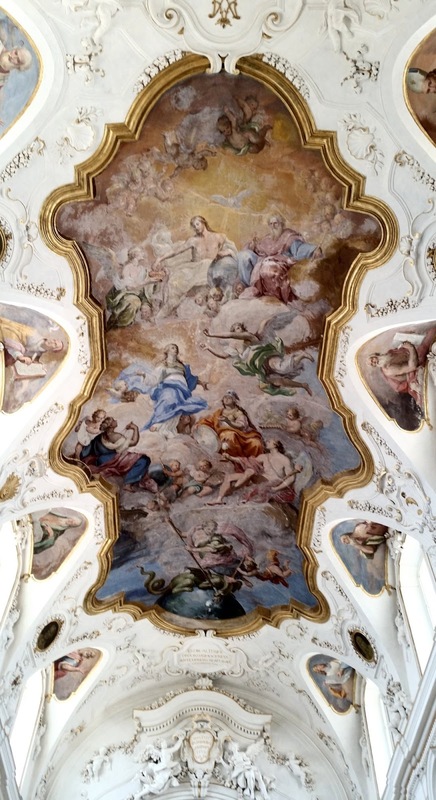 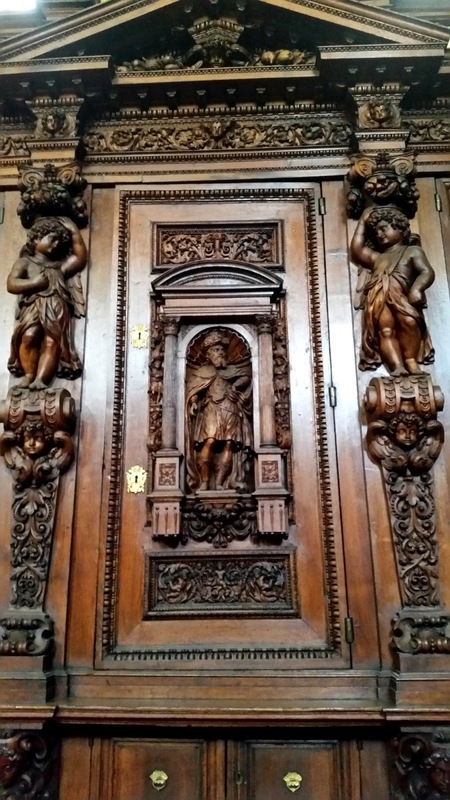 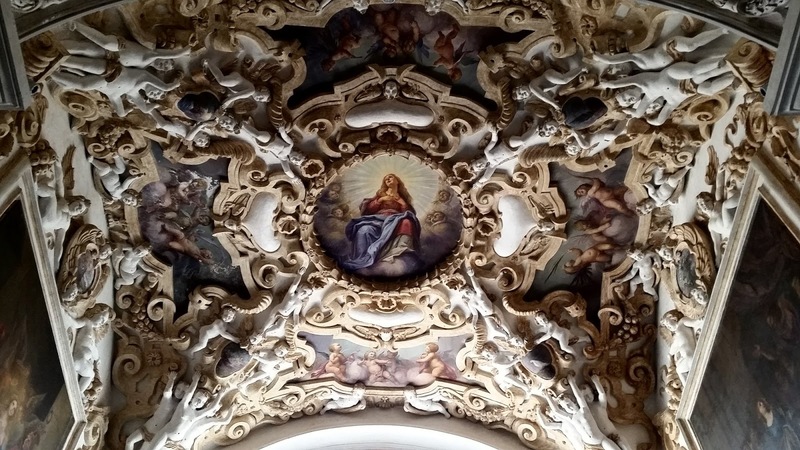 The Jesuits arrived in Palermo ( which was then under Spanish rule ) in 1549, and by the late 16th century began building a church adjacent to their mother house ( Casa Professa ) using a design by the Jesuit architect Giovanni Tristano – and in 1636 the church was finally consecrated. 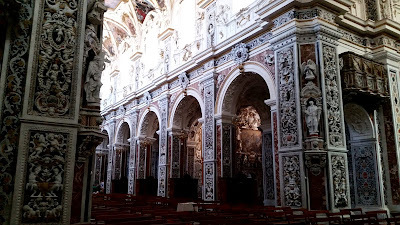 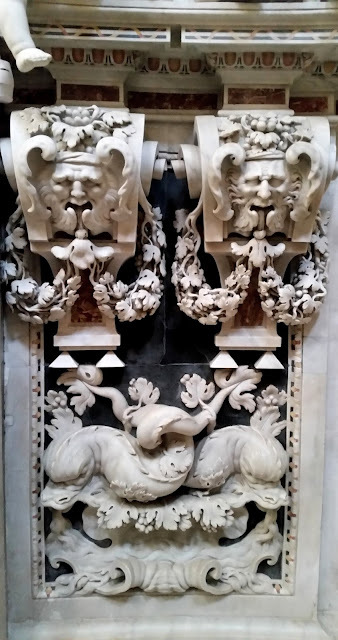 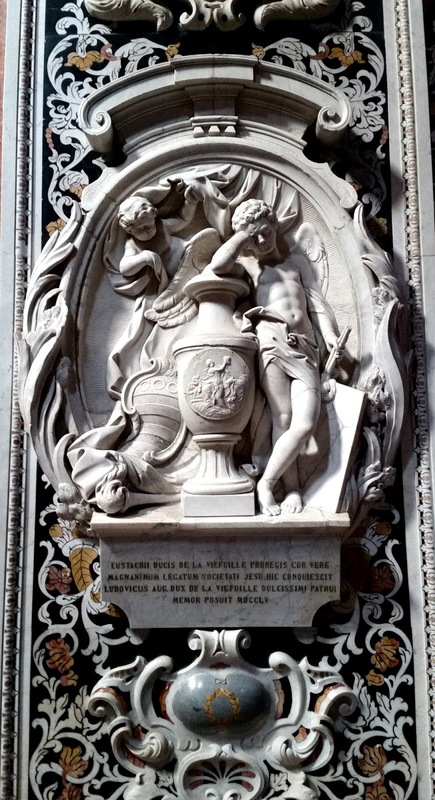 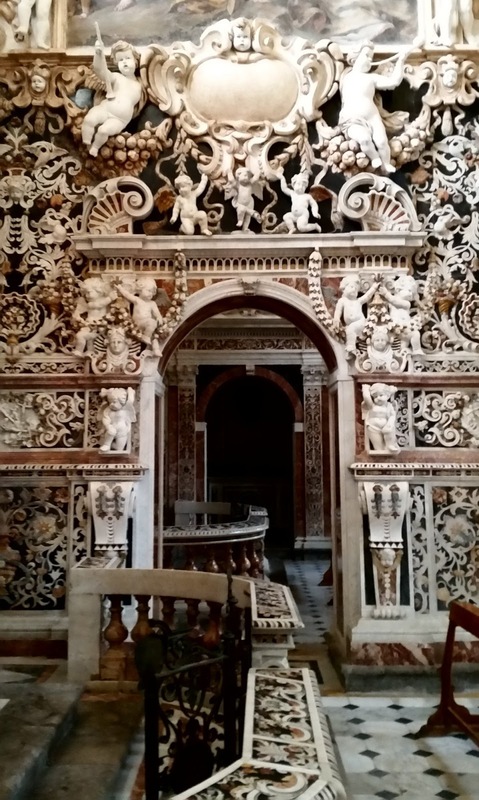 Much of the interior decoration, including the highly ornate polychrome marble bas-reliefs, stucco and frescoes were added in the early to mid 1700s The marble reliefs with their figural and ornamental motifs on the pillars and the marble mosaics are unique and in 1892 the church was declared a national monument of importance. 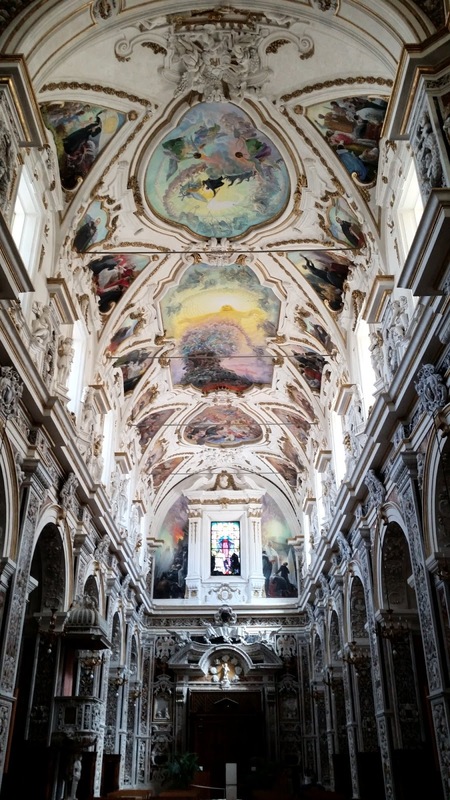 In 1943, during the Second World War, an allied bomb collapsed the church's dome, destroying most of the surrounding walls and most of the wall paintings in the chancel and transepts. These frescoes were replaced during two years' restoration work, after which the church reopened to the public on 5th December 1954. 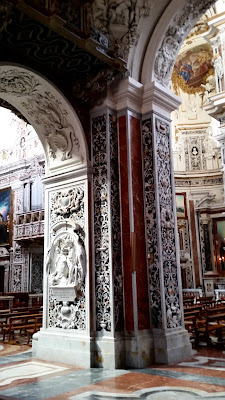 My poor camera had just as much trouble focusing as I did. 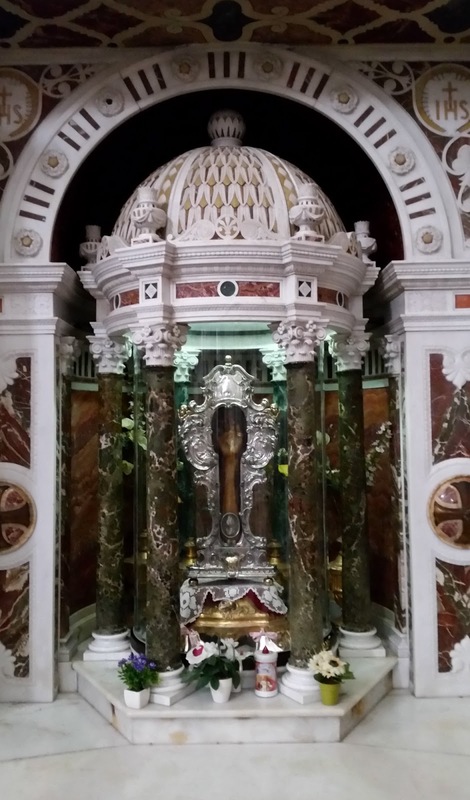 The reliquary in one of the side chapels contains a small bone portion from the arm of Saint Francisco de Borgia ( circular piece at the base of the plaster forearm ) - 1510 to 1572 – the patron saint against earthquakes ( amongst other titles ). 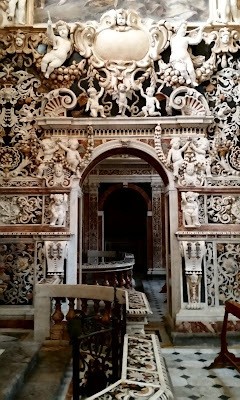 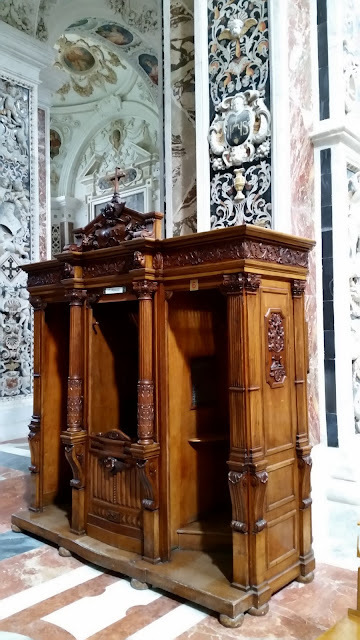 The Jesuit Brother's private side chapel - in dazzling white - must have made quite a contrast to their sombre sinister hooded black robes.